“Now you’re able to add professional-quality, slow motion replay at a fraction of the cost of what it used to be.” - John Mitchell, Director of Audio Visual at TD Garden. With on-ice action as compelling as it’s been, the hurdle for TD Garden’s audio-video department is to deliver something extraordinary that makes actually being at the arena for a game, even more special. “The top challenge we face at the Garden is how do we enhance the experience of the fans who attend a game, so that they not only see all of the game action live, but also the highlights and key plays on video. We want to create an overall experience that makes the price of their ticket a great value and leaves them wanting to return again,” says John Mitchell, director of audio-video at TD Garden. Fortunately for Mitchell and the 35-person staff he manages, this task is made much easier thanks to an impressive, multimillion dollar scoreboard with giant, integrated HD LED displays and a bevy of high-tech, HD video production gear that make it possible for fans to view slow-motion replays, regardless of where they are sitting. NewTek 3Play, a professional slow motion instant replay system, delivers network-quality, multi-camera ISO recording and playback with pristine slow-motion replay. Priced far lower than legacy alternatives, 3Play makes it possible for any video operation, from high school to major league teams, to add slow-motion instant replay to game coverage. 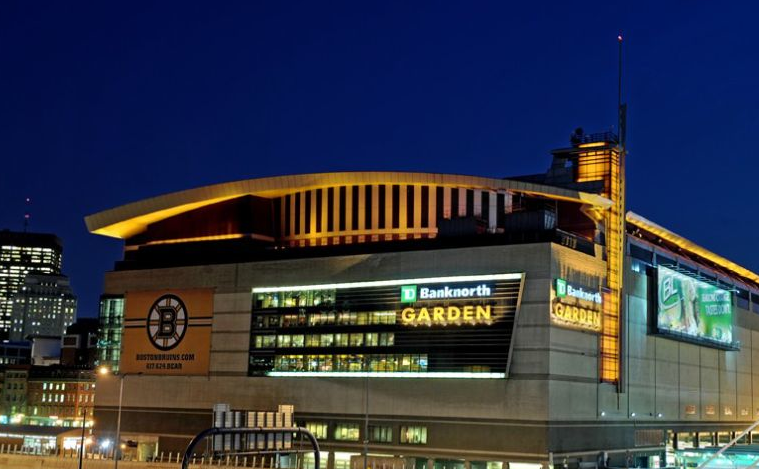 For TD Garden, the low cost means Mitchell has more channels of instant replay available for arena coverage of the Boston Bruins, the Boston Celtics NBA franchise, and any entertainment act or special event held at the facility. Before adding the two NewTek 3Play systems, Mitchell’s department relied on a more-expensive legacy device that only allowed his productions to integrate replays of three camera angles into the scoreboard presentation. 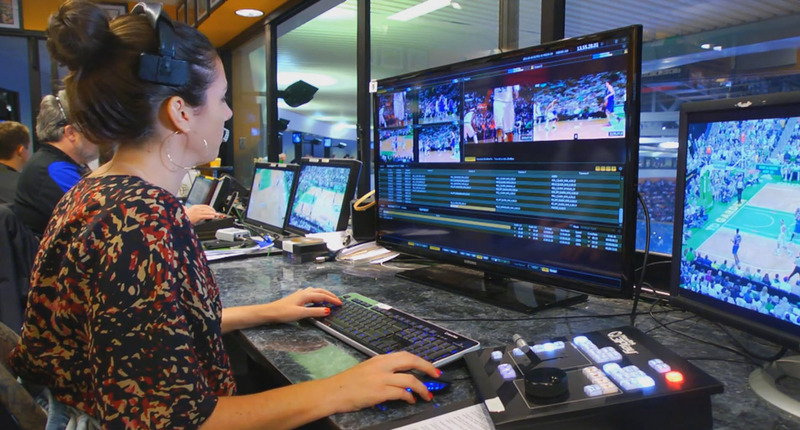 While TD Garden’s new NewTek 3Play replay systems have expanded an important element of the Bruins scoreboard coverage, their value extends to well beyond game night. Even while the 3Play systems are recording and playing back different angles for fans in attendance, Mitchell is laying the groundwork for the next day’s production of promos and other video projects based on that night’s action. Between periods, the audio-video department tags all shots being recorded with a special naming convention that identifies team, player involved, what the player did to make the shot worth recording in the first place, the camera angle used to record the action, the opposing team played and the date of the game. With such an extensive metadata collection, doing queries of recorded angles that turn up the desired shot is quick and easy. At the end of the game, the 3Play allows Mitchell to begin moving all of the recorded angles with their associated metadata across his computer network to be downloaded to video servers for easy access the next day. “It literally takes five minutes after the game, and I am done,” he says. “I come in in the morning, and it is just sitting there on the network,” explains Mitchell. “We just put them in individual directories. We’ll have 11 looks at every goal, maybe eight, if three didn’t have it. And we are putting that in the directory devoted to that player who made the goal.” With every shot organized and stored, Mitchell’s Final Cut Pro editors can easily find the clips they need, download them and begin editing. To Mitchell, this approach to recording, tagging, storing and ultimately editing clips demonstrates a fundamental requirement for any video production today, namely workflow efficiency. “With labor, health care and 401k retirement plan costs associated with each hour needed to post a project, anything that can be done to save time saves lots of money in the long run,” he adds. What this means for video operations with regular, recurring events to cover is unprecedented in terms of what they can afford and how they operate, especially when considered on a longer time frame. “We are going to use the equipment over the next decade. If we amortize that over 10 years, the cost is miniscule compared to the value of the assets we will be capturing and producing,” he says. “Whereas before it was a quarter million, that’s tough for many organizations to handle. But if it’s $20,000, it’s a lot easier to get by. If you amortize that, after the tax write-off and the 10-year amortization, you are looking at a thousand or two a year, which is ridiculous for the benefit you are getting out of it,” explains Mitchell. At the same time, the cost of equipment has been falling and production power has increased, another important technological development is favorably impacting operating expenses. According to Mitchell, developments like the NewTek TriCaster video production solution and its professional control surface, as well as the easy-to-use 3Play and controller, are two clear examples of how technology can simplify operations. 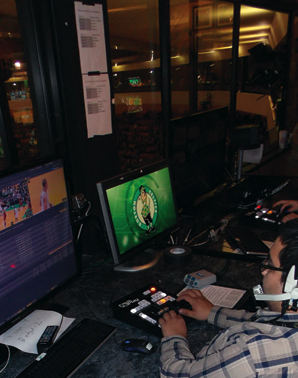 Simpler operation means video operations like the one at TD Garden don’t need a video engineer or seasoned technical director to understand and operate traditionally complex pieces of gear that are the focal point of live video production. 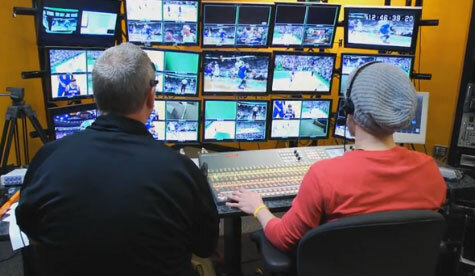 Not too many years ago, there was a clear line of demarcation between the video production capabilities of in-house facilities, like those at TD Garden, and those of the mobile video production trucks that roll in to cover games for a television audience. The line separating the two was largely defined by the cost of the technology used and the size of budget of each. 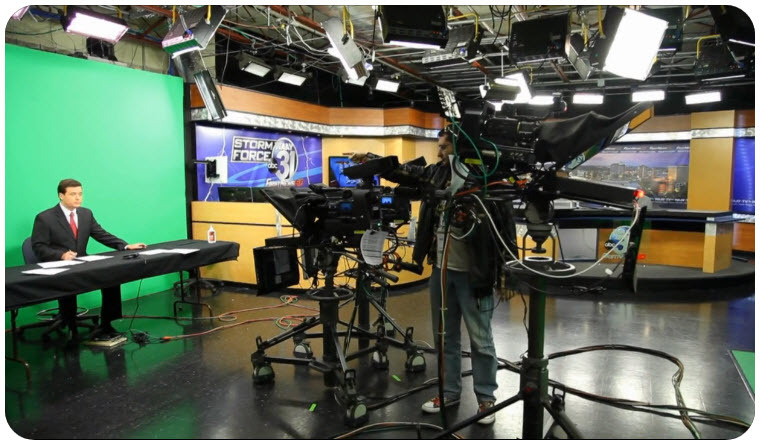 However, that’s all changing thanks to video production equipment like NewTek 3Play and TriCaster. “This new technology has allowed us to do what is being done in the big trucks, whereas before we couldn’t,” says Mitchell. By giving TD Garden access to the same production functionality that was once unreachable for video operations with limited budgets, the end result is indistinguishable from broadcast coverage. That’s particularly important in an era when high-definition television displays game action at home, as clearly as anything a fan would see in person at the arena. 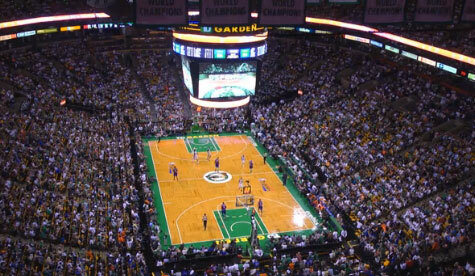 By enhancing the in-arena fan experience with the same sorts of replays and other production effects fans see on their HDTV sets, Mitchell’s operation gives them an added incentive to keep coming back to TD Garden for the in-person game experience. 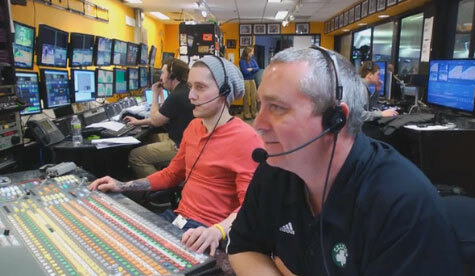 Elevating TD Garden’s video production quality to the same level delivered by a professional production truck also opens up new revenue opportunities. For example, Mitchell sees the combination of high-quality video production and Internet streaming as a potentially sizable revenue source growing out of entertainment acts visiting TD Garden. 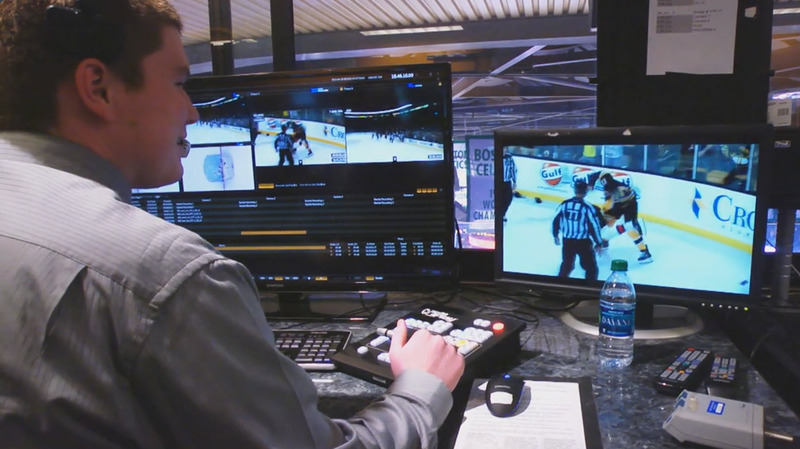 Every year, some 1.5 million Bruins and Celtics fans passing through the gates of TD Garden have a chance to take a second or even third look at critical game action thanks to Mitchell and his NewTek 3Play slow-motion, instant replay systems. While the impact those replay angles have on the overall fan experience is significant, it may actually be dwarfed by the effect this technology has at TD Garden as it ripples out to touch overall video production workflow, budgets, staffing requirements and even available business opportunities. Video production technology like NewTek 3Play and TriCaster helps video operations like Mitchell’s to operate more efficiently, while producing a video product that is every bit as compelling and engaging as anything produced by a broadcast production truck. What’s remarkable is now non-broadcast video operations can actually afford to take on this level of production and succeed. “You can get the same workflow with NewTek TriCaster and 3Play and Black Magic Design routers and DAs that only a few years ago cost $2 million to $4 million for about $100,000 to $150,000,” says Mitchell.